Herb Krueger began working for PeopleService on July 1, 1993, and after nearly a quarter-century with the company, he knows he made the right choice. 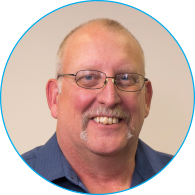 He also knows that what he does makes a difference in people’s lives and is thankful for a very rewarding career path in the water and wastewater industry. “The best part of PeopleService is the people – the interactions I have with city officials who share our concerns and work so hard to protect their people, their communities and the environment,” said Herb. “It’s reassuring knowing that you are all working towards the same goal and making a difference. As a Region Manager, there is also deep satisfaction in knowing that you’ve helped the operators you work with become better, more knowledgeable and more skilled operators. When asked what makes PeopleService so effective, Herb commented, “Our operators become a vested part of the communities they work in. When I became an operator in Ackley, Iowa, I became part of the community. I spent four years working at the city’s water and wastewater plant focused primarily on improvements to the facility. Ackley was the very first contract PeopleService signed. One of the keys to our success in Ackley has been a continuity of leadership. The city has had only four lead operators since the contract was initially signed in 1988. PeopleService has seen the city of Ackley change and go through growing pains. At one point a major industry left town and that gave us the opportunity to restructure the city’s system in a way that made their systems more functional, more cost effective to operate. We even scaled back our contract with the city when we both realized efficiency had increased due to system improvements. When PeopleService is your partner, we are there for you in the good times and the bad times. We are always focused on doing what’s best for our partners.